With the arrival of long, sunny days, people and pets alike are eager to spend more time enjoying the great outdoors. 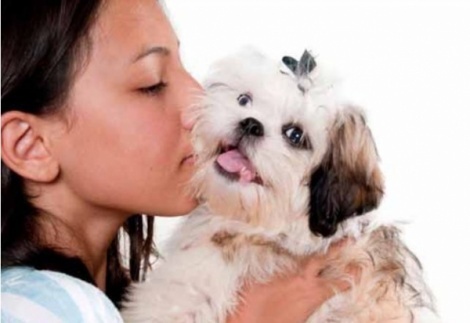 However, pet owners must be especially vigilant during the warmer months of the dangers fleas and ticks can pose to their fourlegged friends. Flea bites can cause pets to scratch excessively, and their saliva can transfer tapeworms, while ticks can spread Lyme disease in pets and cause tick paralysis, a condition that can result in death from respiratory failure as chest muscles become paralyzed. 1. After walks or playtime outside, inspect your pet thoroughly. Brush their coat to remove any debris or insects, especially if your pet has been in wooded areas or high grasses. 2. Bathe dogs regularly, using a shampoo that can kill pests. 3. Be on the lookout for skin irritations on your pet, such as bite marks, red, itchy skin, or excessive scratching. 4. If your pet has long hair, consider having him/her groomed in the spring and summer to help prevent insects from latching onto the long hair, and help you spot any that do. 5. Consult with a veterinarian to determine if a preventative medicine is recommended for your pet. 6. If you notice a change in your animal’s behavior, such as lack of appetite or decrease in energy, take your pet to the veterinarian ASAP. This could be a sign of Lyme disease or other health issue caused by pests. 7. Wash your pet’s bedding, crate, toys, food bowls and sleeping areas on a regular basis. that do find their way indoors. Vacuum frequently and wash linens on a regular basis. 9. Keep your lawn cut short, and gardens well maintained, to prevent breeding grounds for pests. Fleas and ticks often hide out in tall grasses. 10. If you find a tick on your pet, remove it immediately, being careful to extract the head and mouthparts completely. If your pet has fleas, bathe them and seek the advice of a veterinarian. For more information on fleas and ticks, or to find a pest control professional in your area, visit www. pestworld.org.